Joey started working in the landscape industry in the summer of 1993. Upon graduating high school he received a college music scholarship and planned to become a music teacher. Joey took a summer landscaping job to save money for college and shortly thereafter, the landscape company offered to pay for his education if he pursued a degree in landscape technology. For the next four years, he pushed wheelbarrows during the day and attended college at night. The labor-intensive work gave him the practical knowledge and experience of what goes into the designs he created. In 2011, with the support of his wife and family, he started his own landscaping company and ran a successful business for six years. In 2016 an investor purchased his business. 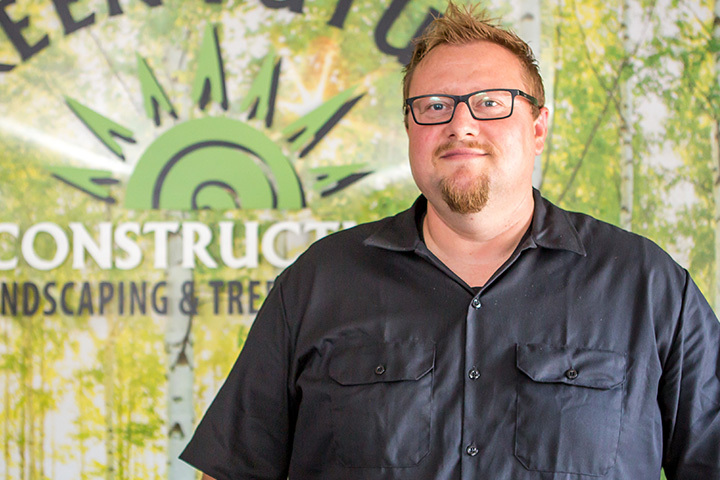 Joey specializes in creating custom outdoor living spaces and is passionate about all facets of landscape construction. He is dedicated to delivering high-quality projects that exceed his customers’ expectations. With almost 25 years of experience, he is a true asset to Green Future Construction. I have a passion for creating outdoor spaces and one of my favorite things is seeing my clients use the spaces we create. He is a husband and father of three children and lives in a small town in Northern Virginia. He frequently performs music on weekends. He is a licensed contractor in Maryland and Virginia and has won numerous awards for his designs and installations through LCA as well as NALP. Joey also holds a Certified Landscape Technician certification from the National Association of Landscape Professionals as well as ICPI certification. Green Future is committed to providing excellence in construction, landscape design and tree service in and around Maryland while inspiring people to care about their homes and the planet. We are a one stop shop that strives to exceed all client expectations in an environmentally responsible ways.